Your guide to using CSS transitions, keyframes and SVG animation to create animations that delight. Animation is an important part of modern UX and is easier than ever to implement with CSS. 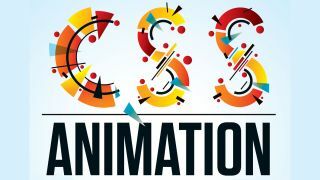 While it may seem limited or a lesser tool when it comes to animation, CSS is actually a really powerful tool and is capable of producing beautifully smooth 60fps animations. In this feature we'll explore everything from reasoning and planning to implementation. Timing functions, or 'easing', enable us to adjust the rate of change over time. There are a number of keywords we can use. For example, the linear keyword will transition from A to B at an equal tempo, whereas ease-in-out will start slowly, speed up in the middle and slow down towards the end. Custom timing functions can also be defined using the cubic-bezier property. See a full list of timing keywords. We are free to omit the values we don't need in order to set the defaults.